Think safari, and you’re probably picturing the vast plains of Tanzania. More than any other destination in Africa, this safe and ever-welcoming East African country is where the continent’s iconic wildlife can be spotted. Home to not just the Big Five, but also the largest animal migration on the planet, there are unparalleled opportunities to experience at Tanzania’s wild side. A land of epic proportions, in Tanzania, you’ll find Africa’s highest mountain, Mount Kilimanjaro. You can also explore the cosmopolitan atmosphere of its cities, both ancient and modern. 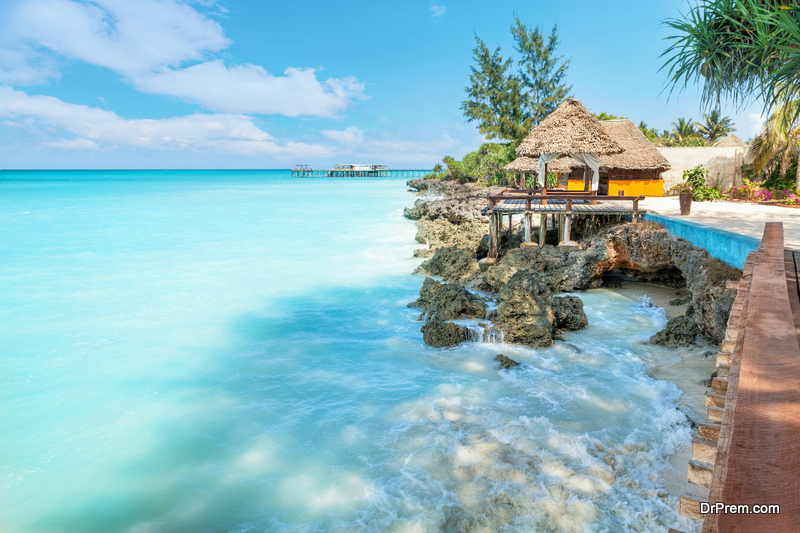 Last but not least, Tanzania’s long Indian Ocean coastline of warm waters and dream-like beaches is suffused with centuries of unique culture, which stretches across to the magical islands of the Zanzibar archipelago dotted like jewels offshore. Read on to discover our top things to do while travelling to Tanzania! Safaris don’t get better than in Tanzania, and Tanzanian safaris don’t get any better than in the unparalleled beauty of Serengeti National Park and the Ngorongoro crater, both UNESCO-listed World Heritage Sites. These vast areas are the same size as the US state of Connecticut or all of Northern Ireland, and are home to huge numbers of different species. 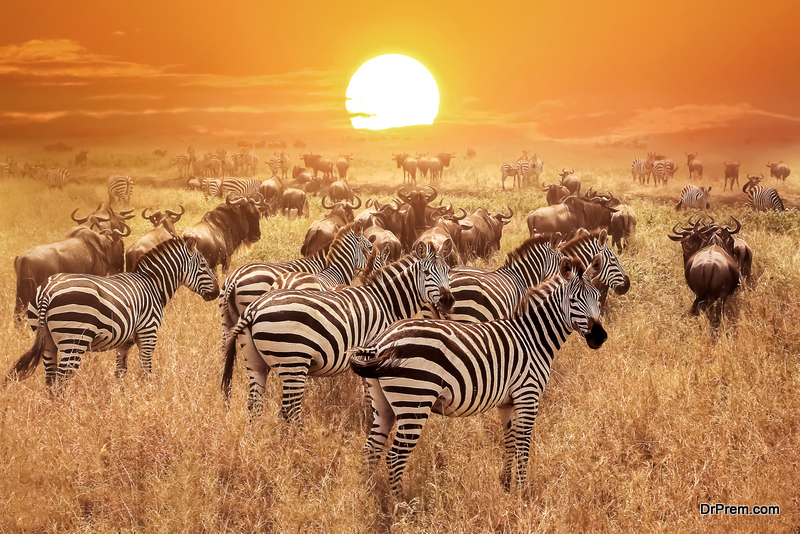 The Serengeti’s Great Migration sees more than two million Wildebeest, zebra and gazelle on the move. It is also home to the largest lion population in Africa, and is one of the only places where visitors can now see the Big Five of lion, elephant, buffalo, rhino, and leopard. The Ngorongoro crater is also home to a huge number of species, within the spectacular scenes of the world’s largest inactive volcanic crater. The mighty Mount Kilimanjaro stands 5,895 m (more than 19,000 feet) above sea level in the north of Tanzania. 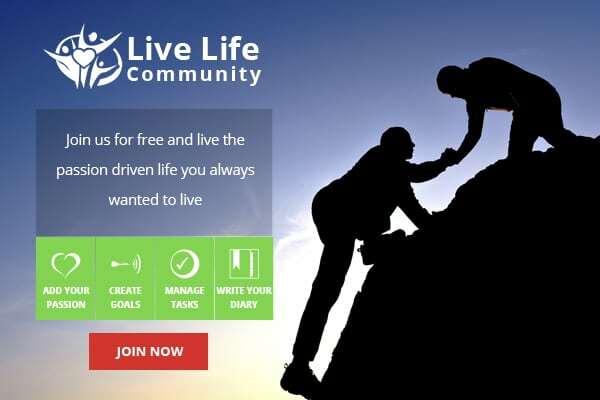 Africa’s highest mountain, it requires no ropes or technical climbing skills to summit, making it a real possibility for those seeking the challenge of a lifetime. Hikes lead through five different climatic zones, from farmland and lush leopard-inhabited rainforest, to alpine meadows and the unexpected magnificence of its equatorial glaciers. Then, as the sun begins its ascent over the surrounding plains, trekkers are able to take in the full splendour of the lunar landscapes of the mountain’s two main peaks – Kibo and Mawenzi. On Kibo’s crater rim you’ll be standing on the roof of Africa, Uhuru Peak, but even if you don’t make the climb, the snow-capped heights of ‘Kili’ are a magnificent sight. Where else can you relax on pristine palm-fringed beaches, swim and snorkel over corals in clear turquoise waters, and explore historic spice-infused alleyways than the fabled Spice Islands of the Zanzibar archipelago? Here you can find tranquillity, immerse yourself in the culture of its Sultans or party the night away in equal measure. Stone Town, the island’s capital, is a spell binding blend of influences from as far afield as Persia, India, Europe and mainland Africa. Another of Tanzania’s UNESCO World Heritage Sites, its unique mix of cultures is particularly well demonstrated in the richly-carved and adorned doorways for which the island is famed. The east coast in particular provides a continuous string of coral reefs and white sandy beaches lined with coconut palms, while scuba divers will adore the abundance of marine life around the smaller neighbouring island of Pemba. A fairy-tale carpet of forest, Mahale Mountain National Park is the chosen habitat for the largest population of chimpanzees in Africa. More than a thousand individuals are known to call the boundaries of the park their permanent home. Lying on the eastern shore of Lake Tanganyika, the mountains offer the special opportunity of walking with our closest-living ape relatives. Spread over 20 square miles (52 km2), it became the heart of chimp research in 1965 when Jane Goodall founded the Gombe Stream Research Center here. In addition to the chimpanzees, the remote nature of the Mahale Mountains means the forests are home to 200 different species of bird, including the rare fish eagle. 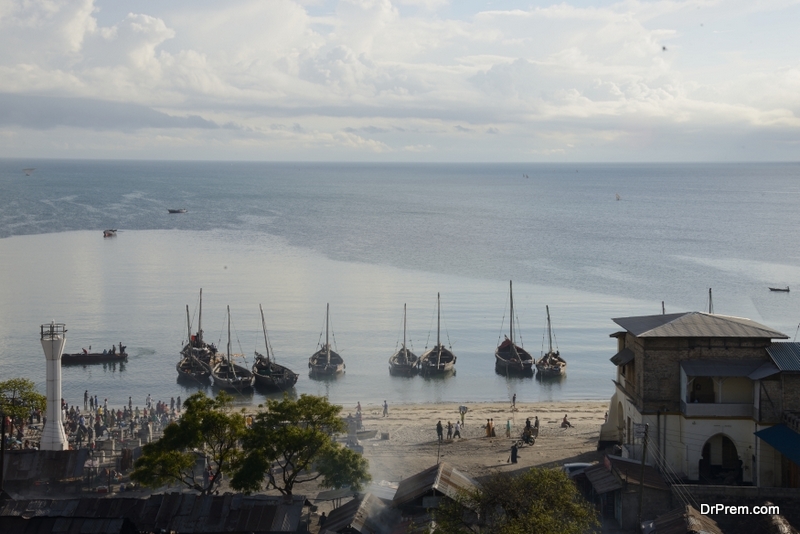 The now sleepy town of Bagamoyo was once one of the most important cities in East Africa. Chosen by German colonists as their capital, it slowly fell into a happy obscurity with the rise of Dar es Salaam. However, its laid-back atmospheric paths have plenty of sights to catch the eye, from the main street’s slowly crumbling merchant’s houses of Arab design to the well named Old Church and German Garrison. A starting point for many explorations of Africa; its old port, near the Kaole ruins, welcomed the likes of David Livingstone and Henry Morton Stanley.The ruins also include the remains of two mosques, 30 grand Muslim tombs, and a baobab tree thought to date back half a millennium. Located within the Ngorongoro Conservation Area, the Olduvai Gorge hit the headlines when anthropologists Louis and Mary Leakey discovered a human-like skeleton dating back 1.8 million years in the steep-sided ravine in 1959. Modern humans, by contrast, only emerged 300,000 years ago. The excavation sites have been preserved for visitors to discover for themselves. A small museum in the gorge provides more detail on the diverse ancient human finds, through bones, teeth, artefacts and a cast of a trail of footprints dating even further back, to 3.7 million years ago! 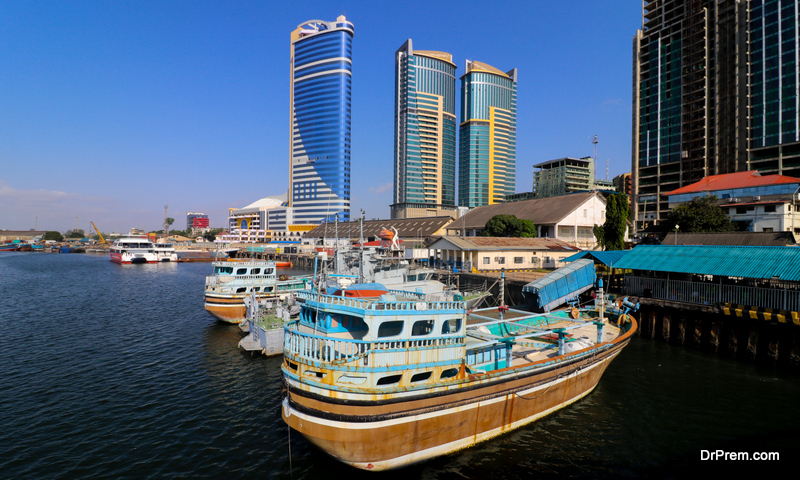 Elegantly managing to combine the city’s historic areas with the needs of one of the fastest growing cities in the world, Dar es Salaam has become a leading city for the arts, music and fashion. Its glorious ocean-side position only adds to the prestige of a city that is not only comfortable, but also proud of its past and looking to its future.The birthplace of the vibrant Tingatinga painting style and its own form of dance music, Dar also boasts exquisite cuisine. Culture vultures will love the exhibits housed within the fantastic National Museum, while those seeking out much needed rest and relaxation don’t have far to travel for clean sand beaches and warm seas. Tanzania has rich and diverse cultures, astonishing natural beauty, dazzling beaches and incredible diving destinations.The ‘cradle of mankind’ is able to boast World Heritage Sites as diverse as Serengeti National Park and Stone Town, Zanzibar, in addition to Africa’s highest mountain. In short, Tanzania is a destination like no other.